Thanks to the team’s quick thinking and a visit to a local hardware store, they were able to make the fix and move on to the next run and a seventh-place finish. The team already has plans in place to continue improving SpaRRCky for future competitions, including implementing data acquisition, fine-tuning the mechanical efficiency, and more training for the drivers — including time spent playing racing video games, a suggestion that came from another team. Racing games can help drivers learn to hit the most efficient angles at turns and determine when to coast and when to accelerate. 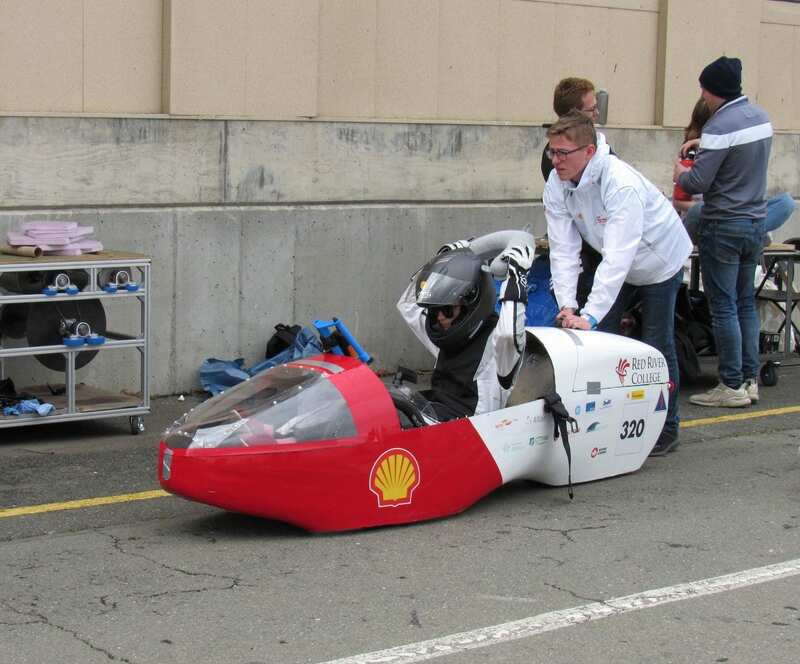 The RRC team currently has every intention of competing again in the future. Turner credits his College experience in preparing him for the race, and notes the marathon itself is a great way to gain hands-on experience. 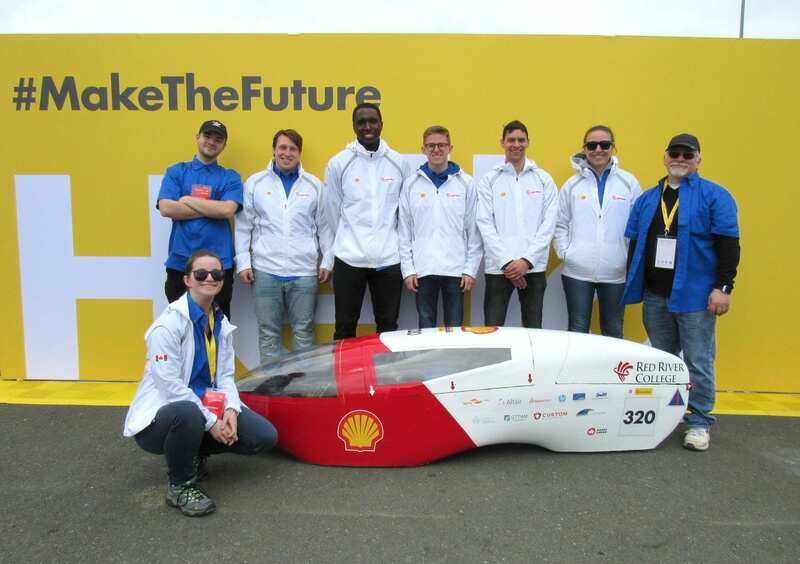 The Shell Eco-marathon invites student teams from across the Americas to design, build and race cars that aim to go the furthest distance while using the least amount of energy. The RRC team’s success would not have been possible without generous support from their sponsors: CARIC (Consortium for Aerospace Research and Innovation in Canada), CTTAM (Certified Technicians and Technologists Association of Manitoba), NSERC (National Sciences and Engineering Research Council of Canada) via the Vehicle Technology & Energy Centre (VTEC), Custom Castings, Manitoba Aerospace, MB Vehicle Technology Centre (VTC) and Red River College. Follow SpaRRCky’s progress leading up to the 2020 competition on Facebook.